A.P. 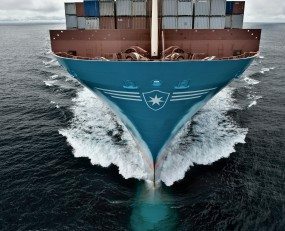 Moller-Maersk has announced Maersk customers can now complete their bookings within seconds compared to previous waiting times of up to two hours, due to the introduction of instant booking confirmation. With the new solution, customers get visibility of sailing options with available vessel space, a list of deports with empty containers to choose from and a choice of relevant value adding services. Moreover, customers get certainty that bookings will not be cancelled at a later stage. Instant booking confirmation is available in beta for all customers through the online booking modules of the Maersk Line, SeaLand and Safmarine brands. The functionality currently covers dry cargo shipments, but refrigerated cargo, dangerous cargo and inland container yards are expected to be added during 2019. A.P. Moller-Maersk is also introducing online booking via the Maersk App, enabling instant bookings directly from a mobile phone. “It is a milestone for the entire industry and a concrete example of how we are bringing our strategy to life when we improve the customer experience through seamless digital offerings,” said Vincent Clerc, Chief Commercial Officer, A.P. Moller – Maersk.